Paris climate summit preview: World leaders offer lackluster plans to limit emissions. 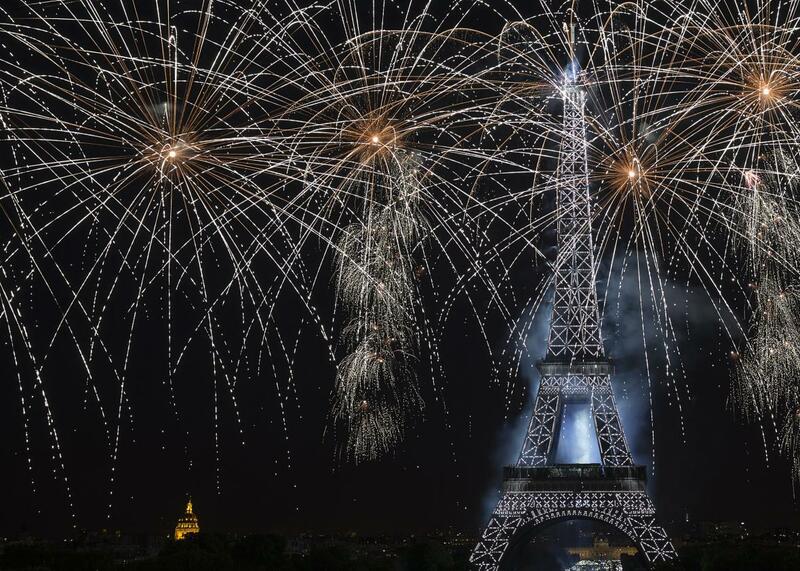 Don’t expect many fireworks at the big Paris climate summit this December. For advocates of the atmosphere (which should be pretty much everyone who breathes), this December’s meeting of world leaders in Paris is a really big deal. For the first time, it’s expected that virtually every country on Earth will agree to plans to reduce global emissions. The excellent Responding to Climate Change blog has a detailed preview of the upcoming negotiations. Over the last few months, countries have been submitting drafts of those plans—which likely will be nonbinding, thanks to the recalcitrant U.S. Congress. Now nations responsible for more than half of world emissions have submitted their proposals. Looking at those plans in detail gives a preview of what the likely outcome of the Paris talks will be—and it ain’t pretty. The climate policies currently in place worldwide would lead to a projected 3.9 degrees Celsius temperature rise this century, according to Climate Action Tracker, a group of independent climate research organizations. The pledges announced so far for Paris would only shave about 0.8 degrees off that figure. The worst laggards are Australia, Canada, Japan, Russia, South Africa, and South Korea. Together, these countries account for about 15 percent of global emissions—about the same as the United States, whose proposal wasn’t much better. A separate assessment by the Netherlands government shows a stark divide between current policies and pledges and the necessary pathway. Japan’s plan, submitted to the United Nations on Friday, is especially weak. “With the policies it already has in place, Japan can almost reach its proposed [emissions] target without taking any further action,” said Climate Action Tracker’s assessment. Given these plans, the organizers of the summit aren’t too optimistic about making change happen, nor are scientists. Yes, it’s still possible to reduce the effects climate change will have in the future. But after a quarter-century of delay, the scale of action necessary to make a difference is huge—and it isn’t being seriously discussed at the highest levels. Climate change is a particularly tricky problem. The global economy is still dependent on fossil fuels, which makes for countless vested interests defending the status quo. Most of this was known way back in 1988, the year researcher James Hansen famously testified in front of Congress on behalf of the climate science community, but there’s no way he could have known just how difficult it would be to motivate meaningful change. Fast-forward nearly 30 years, and the world is still tracking along a worst-case scenario. The world’s leading climate experts recently analyzed 116 official scenarios that would ensure a rise of no more than 2 degrees Celsius above pre-industrial levels. However, just nine of them have realistic assumptions on bioenergy—converting vast tracts of the world’s cropland into (theoretically) carbon-neutral fuel—and all nine of those scenarios show emissions peaking below current levels. The planet has backed itself into a corner. We’ve waited so long that many “effective” climate policy proposals—which would ensure a reasonable chance of keeping global temperatures with the internationally agreed-upon “safe” zone—would require time travel. That is to say, they make wild assumptions about the potential of biofuels and geoengineering or rely on unproven technologies like carbon capture or a stunning nuclear renaissance. Even a 50-50 shot at staying below this level would require a “war-like” mobilization, according to climate scientist Kevin Anderson, though you don’t often hear scientists admitting this. There’s been significant controversy within the climate science community this year on whether these scenarios are misleading the public and giving “false hope” to vulnerable populations most at risk. Now, I’m not saying that Paris will be a waste of time, but the disconnect between what’s on the table and what’s necessary is striking. We know what climate change strategy already works: burning less fossil fuel. How can we make that happen, if we can’t depend on bureaucrats? We’ve recently seen a shift in rhetoric about the dangers of continued fossil fuel use—whether through divestment or kayaktivism or good old-fashioned Catholic guilt. And that could be at least as effective as the conference room deals that will be hashed out in Paris among world leaders. The world needs an energy revolution to prevent the worst of climate change. At this point, it may take a political revolution to get the job done.